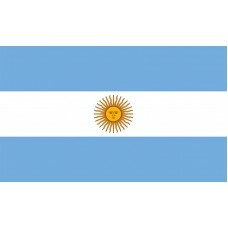 The Argentina flag was designed by Manuel Belgrano, the leader of the Argentinean revolution. The flag was adopted on February 12th 1812 and can be described as a "triband flag" comprised of three horizontal sections of blue, white, and blue. 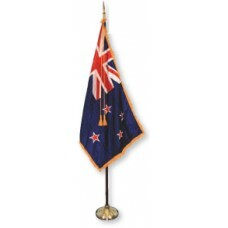 The center of the flag features a golden sun in the middle. The most popular interpretation of the meaning of the flag is that the blue color with the white in the middle signifies the blue sky dividing to reveal white clouds. It is thought that this is what happened on 25th May 1810, when the first liberation demonstration occurred in Argentina's fight for independence. It is also thought by some that the white on the flag is actually silver, representing one of the biggest natural resources in Argentina. The original Argentina flag was created four years before independence from Spain was declared and it did not include the sun on it. 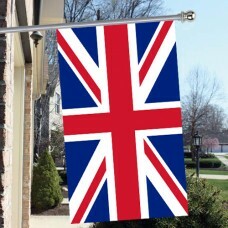 The "Sun of May" was added to the flag in 1818. The flag that includes the sun is known as the "Official Ceremonial Flag" and the flag without the sun is known as the "Ornamental Flag." The sun represents the May revolution and is also a national emblem. Juan De Dios Tupac Amaru designed the sun which has 32 rays, and pays tribute to Inti, the Inca God of Sun. Uruguay's flag features the same sun, but with a different number of rays. Spain controlled Argentina from 1516 and maintained control for 300 years. The Spanish named Buenos Aires as the capital and the Spanish explorer, Juan de Garay brought the language and religion to the country. Many Argentineans revolted against this and in 1806, when the British army entered the country and fought with the Spanish troops, Argentina had the opportunity to claim independence and create their own government. 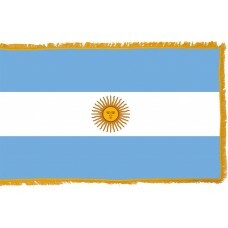 Each year, on the 20th of June, national flag day is celebrated in memory of Manuel Belgrano, the designer of the flag. The flag is raised in memory of the soldiers that fought in the revolution for the independence. Large celebrations occur in Rosario, where the flag was first hoisted in 1812 by Belgrano and there is an annual parade featuring the army, war veterans, and public officials. Argentina is now thriving and is in fact one of the wealthiest Latin American countries. The majority of the population of Argentina is European. Buenos Aires is the capital of the country and also the biggest city. It is referred to as the "Paris of South America," due to the major European influence and has become a major tourist destination in large part due to the many monuments and historical sites. "To the Argentine people, hail!"